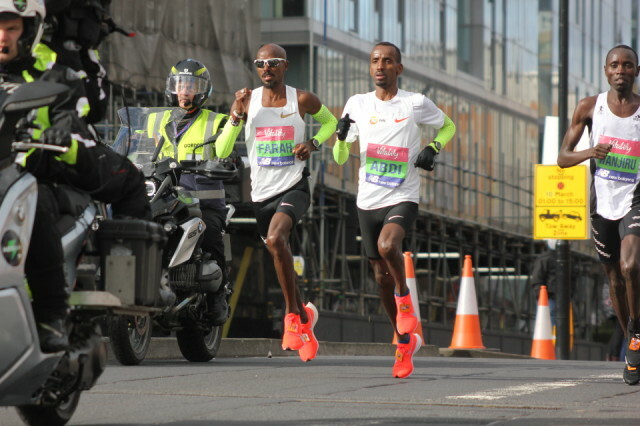 Went down to Creek Road in Greenwich to watch the runners in the Vitality Big Half Marathon this morning. 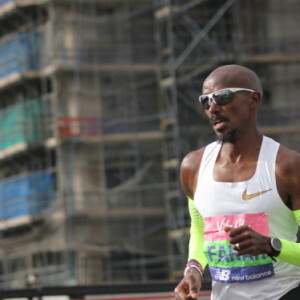 Sir Mo Farah won in a sprint finish alongside the Cutty Sark. 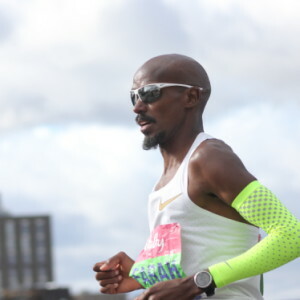 Chose this image because I liked the similarity in the two runners' body positions - I did get a couple of other close-ups of Mo that I liked too (see extras). Grabbed lots of other photos of leading runners (some of which I've since uploaded to Wikimedia Commons for use in Wikipedia articles about them). It's been a very windy day. I was narrowly missed by branches falling from a tree as I walked towards Greenwich Park.